Attract New and Existing Customers with coupon labels. A great way to advertise promotions. Products with visible coupons / discounts are more likely to be noticed. At Hampshire Label we offer various types of coupon labels, from; removable adhesives, to piggyback labels and more. Browse the links to find your perfect product. Promotional labels are used to either create awareness about a product, promote product sales or both. You need to come up with a clear objective why you need promotional labels before printing them. 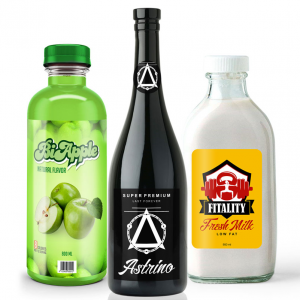 Having a clear objective helps you to design a promotional label that will be much more effective therefore achieving whatever goal you have in mind. The second thing you need to consider before printing promotional labels is the type of label that will suit your objective. 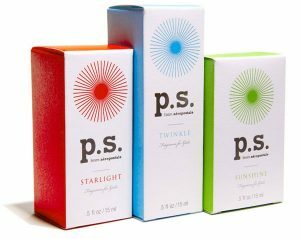 This article will highlight common types of promotional labels used so as to make an informed choice. Coupon labels are a smart way of encouraging customers to buy your product since they can be peeled off and redeemed within the store. You can use this point of sale strategy to encourage impulse buying. Ensure that your coupon labels are unique by using bright materials and bold graphics to attract consumers’ attention. 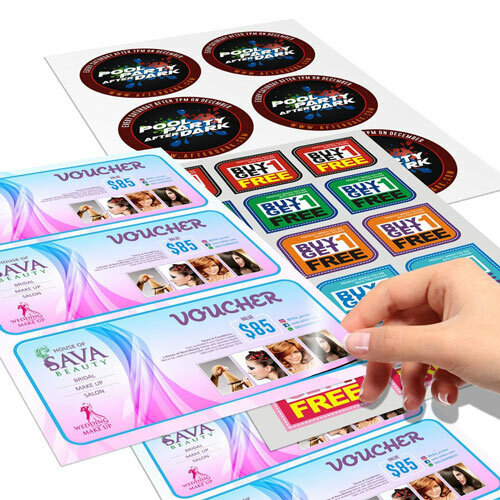 You can also design the coupon labels in an eye catching shape and use repositionable adhesives so that consumers can easily peel them off and use them as instant redeemable coupons. Print Coupons / Promotional Labels with Hampshire Label Today! At Hampshire Label, we are able to print coupons and promotional labels within a short turnaround time and at competitive rates. 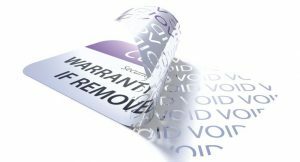 With over four decades of experience in the label business, we have the capability to exceed your label printing expectations. We also utilize the latest digital and flexographic label printing equipment to produce high quality full-color labels. Contact us today and let us give you a helping hand with coupons and promotional labels for all types of applications. When it comes to customizing coupons and promotional labels, an important element to look out for is the layout for your labels. For instance, you will only require the creation of a single wrap-around label for cylindrical shaped products. In addition, you should remember to infuse your own identity and distinct signature into your designs. This way you can make a statement and send a clear message to your target audience; a message that encourages your audience to take action.